Corson & Johnson Law firm congratulates Pestcide.org for the great work they are doing to eliminate unhealthy pesticides from our children’s playgrounds and other environments. That pesticide you’re using will not solve your spider problem. Spiders are likely to come back to an area that’s been sprayed because unlike insects, spiders aren’t affected by residual pesticides. But they can be beneficial, so why would you want to kill them in the first place? Most spiders seem to have the reputation that all of them are dangerous. Our initial reaction to seeing a spider in our home or office is to kill it quickly, but did you know that the majority of spiders aren’t harmful to people? Out of nearly 3,000 species of spiders in North America, only four (tarantula, black widow, brown recluse, and hobo spiders) are considered dangerous for human interaction. The other thousands of spiders that exist are beneficial because of their contributions to insect control. One spider can eat over 2,000 bugs a year, keeping flies, mosquitoes, wasps and other pests at bay. Natural pest control by way of spider is a much safer alternative than using heavy chemical sprays and powders around your home, so think twice before stepping on that next spider. So, if you have unwanted spiders in your home, you can use a broom to sweep them outside, or scoop them up in a jar before releasing it outdoors. Vacuuming also works to remove spiders and their webs. To prevent your guests from returning, it’s advised to seal off all small cracks in your home that could be easily accessible to spiders or other pests. 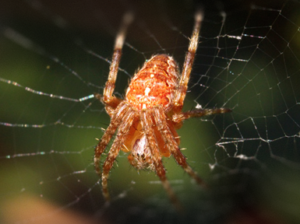 In addition, keeping patios, decks and outdoor spaces clutter free will keep spiders to a minimum.